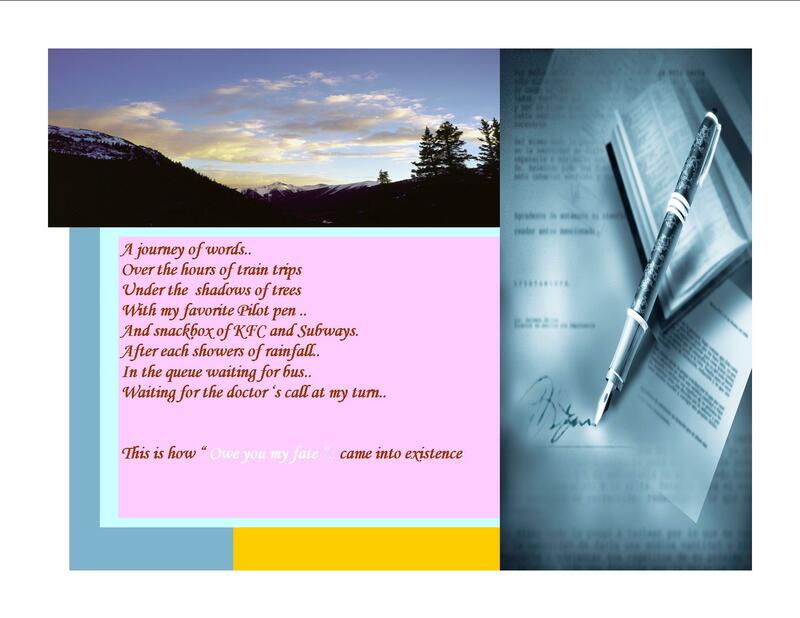 The journey as we call it just happened…When I wrote the first letter of this novel, I had no clue that this piece of paper would become a novel. I had the habit of scribbling my thoughts into paper. This was just another day of the same genre. The extremeties of emotions- whether too happy or too bad provoked me to sit with a new piece of paper very often.These words then became sentences and the sentences became chapters. Pure fiction, as it came out of my mind in form of what I would define as a beautiful life today is ” Owe You My Fate”. 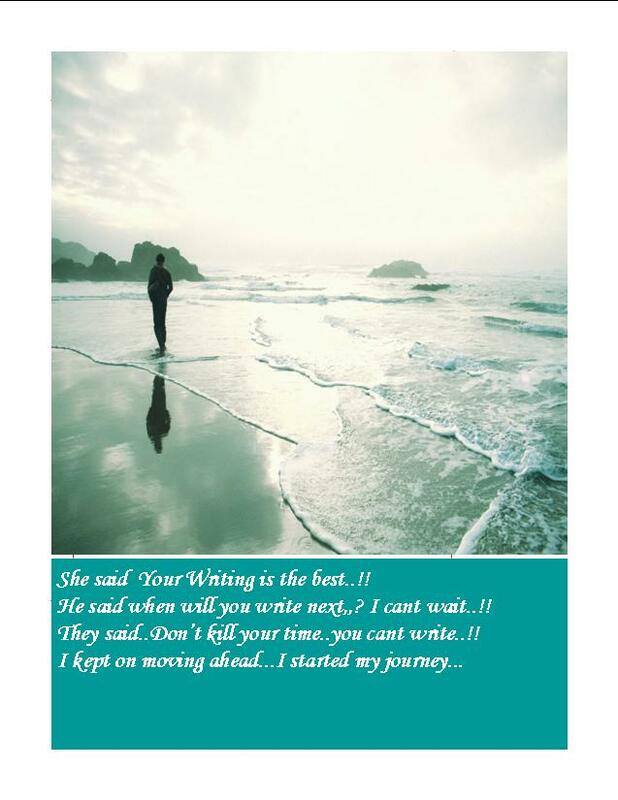 Escaping out of the office areas with this notebook in hand and eyes of scrutiny by my senior managers…running down the five floors ..finding a quiet place in the backyard of office campus…and then letting down the thoughts flow laid the start of this journey…. Sudden showers of rains at 11.20 pm would excite me. I would run with the notebook to sit in the couch outside. Its a fact that rains have been the primary motivation behind this work. Train journeys with six hous of chaircar trips..when people would look at me with surprise..The same old notebook and the pilot pen( without which I feel I can’t write)…Long weekends with lazy cold weather…I would get lost in the world of janvi and Vedansh for those two days when Monday would follow and my ID card would remind me of the corporate life that is my reality..Each day of this journey has been more beautiful than the prior one.. I hope, I get to live a million of these. Thanks a lot for being a part of “Owe You My fate”.